I have just finished writing up a new article for www.codeproject.com for which I will write another blog post about. Thing is, when I was looking into parts of that article I wanted to use some graphs in WPF, and had to have a hunt around to see what was out there. After a look about I found a truly excellent graphing library for WPF which is completely free. Itâ€™s a www.codeplex.com project called â€œGraphSharpâ€ which is freely available at graphsharp.codeplex.com. I also figured it may be good to show people how to get up and running with GraphSharp in this standalone blog as the new article I published does absolutely no hand holding about the graph creation, as that was not really what the new article is about. /// A simple identifiable vertex. /// A simple identifiable edge. Since we are using WPF, why not follow best practices and use MVVM for it, which obviously means creating a ViewModel. 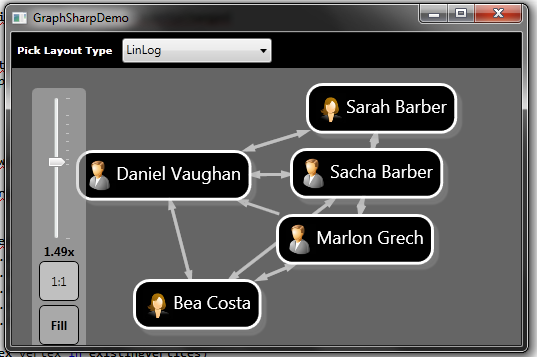 Here is an example ViewModel that can be set as the DataContext for a Window/UserControl that hosts the GraphSharp graphing controls. I was doing something the other day and I noticed a new namespace that vaguely reminded me of something I looked at a while back. The namespace in question is System.Diagnostics.Contracts, and the subject I was looking at was Spec# which was a research project for Microsoft. 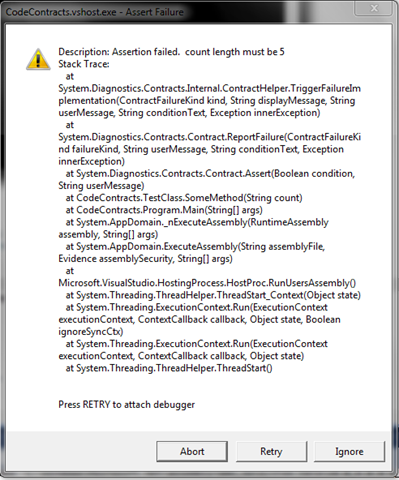 So it looks like some of this is now available in VS2010/.NET4.0. I donâ€™t get that using standard VS2010, but hey ho, lets continue our looking at what we can do without installing anything extra. Now this is the same as what a lot of us have probably done with small static ArgumentValidator classes etc etc. Not much gain there. But taking a bigger example (from the example in MSDN), we could have an interface called IArray that we want to implement and we could also have a ContractClassForAttribute and some code contracts on another class that will provide the contracts for a IArray implementation. //read and edit entries in the array. // For inserting immediately after the end. So now look at what happens when I create a class that implements IArray. So I fix that and run it again, and all is good. I have just released the 6th and final part in my Cinch V2 article series. This article covers Silverlight4 support using Cinch. It is also my 100th article over at codeproject, which means a great deal to me, and if you like what I do, I would really appreciate some votes and comments for that article, so please do that, if you feel inclined. I will be doing a few enhancements to Cinch based on some cool ideas people have suggested. But once I do that, I fully intend on making it to 200 codeproject articles or more. As such I have a massive list of stuff that I want to learn, and I will be cracking on with that, and shall also get back to properly blogging. 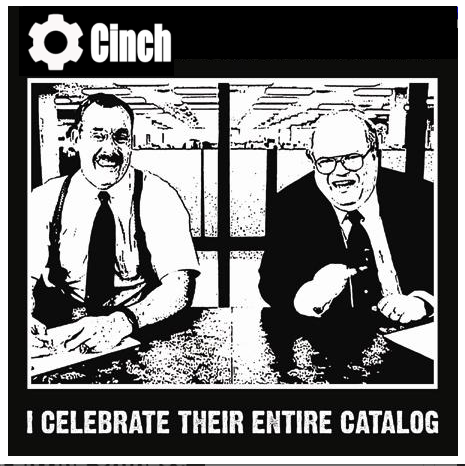 Enough of this self promotional horse crap thing, that has been happening lately with Cinch, it just had to be done, and it has been done now, so thanks everyone and thanks for all the tunaâ€¦.But me and Cinch are now done, as I have more interesting things to do.